Advanced Center for Parkinson's Research has a new website! https://academicwebpages.com/wp-content/uploads/2019/03/bwh-parkinson.png 352 700 Nancy McNamara https://academicwebpages.com/wp-content/uploads/2018/01/awp-logo.png Nancy McNamara2019-02-18 14:25:412019-03-18 14:36:30Advanced Center for Parkinson's Research has a new website! 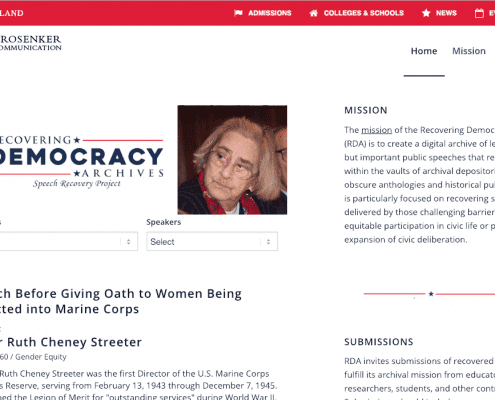 In a project launched in 2018, communication Professor Shawn Parry-Giles and graduate students gathered these speeches and more by historically marginalized people in an archive intended to be used in classrooms to teach students about speeches not as well-known as the Gettysburg Address or “I Have a Dream.” The new Recovering Democracy Archives focuses on how those “seeking to fight injustice are really working on behalf of the public good to promote democratic practices,” said Parry-Giles. 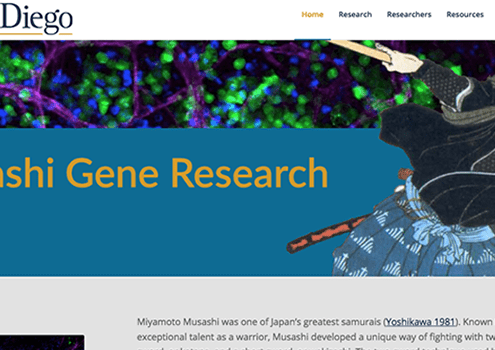 Musashi Gene Research has a new website! Although iconic in Japanese history and culture, Musashi’s name and unique story became part of the scientific lexicon serendipitously. In the early 1990s, a group of scientists led by noted neurobiologist Craig Montell discovered a new gene, which, when mutated, led to a cell fate determination defect in sensory organ precursor cells. 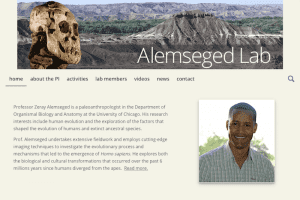 https://academicwebpages.com/wp-content/uploads/2018/11/musashigene.png 350 700 Nancy McNamara https://academicwebpages.com/wp-content/uploads/2018/01/awp-logo.png Nancy McNamara2019-01-10 12:50:102019-01-25 14:30:54Musashi Gene Research has a new website! 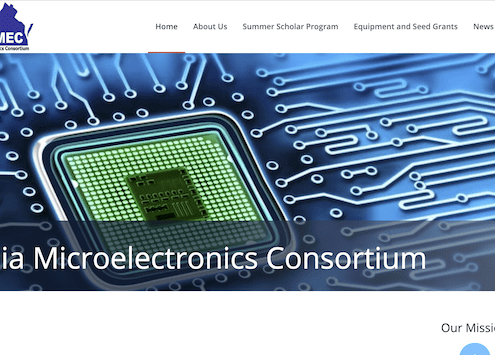 Virginia Microelectronics Consortium has a new website! The Virginia Microelectronics Consortium (known as VMEC) facilitates university-industry partnerships that can address the educational, training and research needs of the Commonwealth’s microelectronics industry and contribute to the development of Virginia as a location of choice for the microelectronics industry. 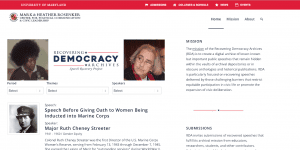 https://academicwebpages.com/wp-content/uploads/2019/01/vmec.png 355 701 Nancy McNamara https://academicwebpages.com/wp-content/uploads/2018/01/awp-logo.png Nancy McNamara2018-07-11 18:51:432019-01-11 19:02:46Virginia Microelectronics Consortium has a new website! 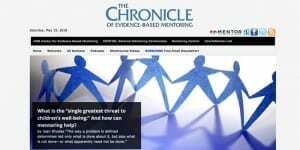 The Chronicle of Evidence-Based Mentoring Tops 10,000 followers! 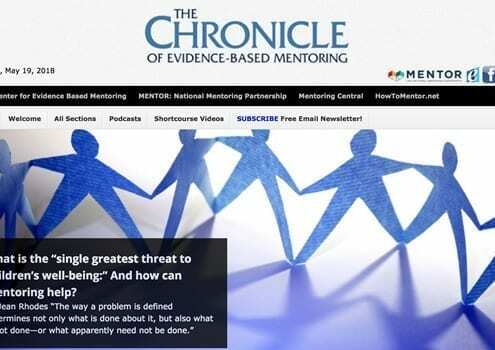 The Chronicle of Evidence-Based Mentoring is an online source for sharing new findings and ideas about youth mentoring. 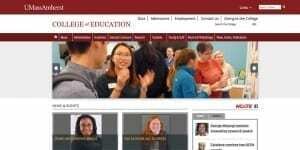 https://academicwebpages.com/wp-content/uploads/2018/05/chronicle-ebm.jpg 350 700 Nancy McNamara https://academicwebpages.com/wp-content/uploads/2018/01/awp-logo.png Nancy McNamara2018-05-19 18:29:102018-05-19 18:29:10The Chronicle of Evidence-Based Mentoring Tops 10,000 followers! 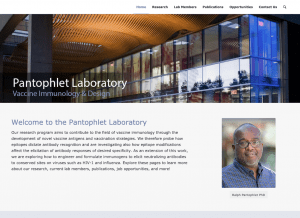 I4C Collaboratory has a new website! 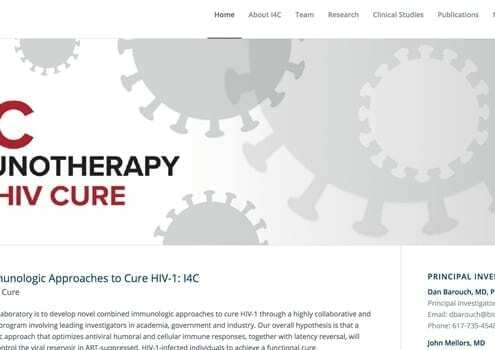 The goal of the I4C Collaboratory is to develop novel combined immunologic approaches to cure HIV-1 through a highly collaborative and multifaceted research program involving leading investigators in academia, government and industry. https://academicwebpages.com/wp-content/uploads/2018/05/i4cacure.jpg 350 700 Nancy McNamara https://academicwebpages.com/wp-content/uploads/2018/01/awp-logo.png Nancy McNamara2018-05-19 18:05:082018-05-21 00:51:26I4C Collaboratory has a new website! 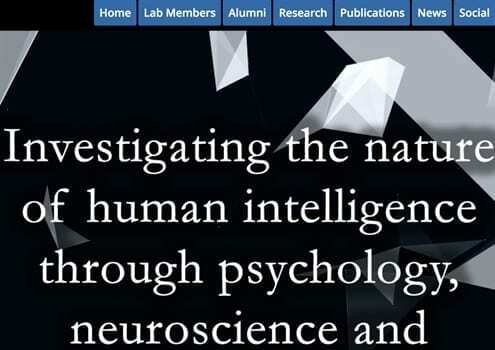 Partnerships for International Research and Education (PIRE) has a new website! 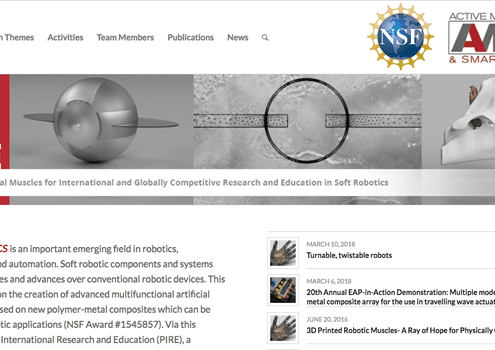 PIRE is a team of US researchers and collaborators from South Korea and Japan with expertise in soft robotics to advance the state of the art, as well as to train and prepare the future workforce to tackle emerging challenges in soft robotic systems. https://academicwebpages.com/wp-content/uploads/2018/05/pire.png 350 700 Nancy McNamara https://academicwebpages.com/wp-content/uploads/2018/01/awp-logo.png Nancy McNamara2018-04-07 15:54:492018-05-18 17:37:18Partnerships for International Research and Education (PIRE) has a new website! 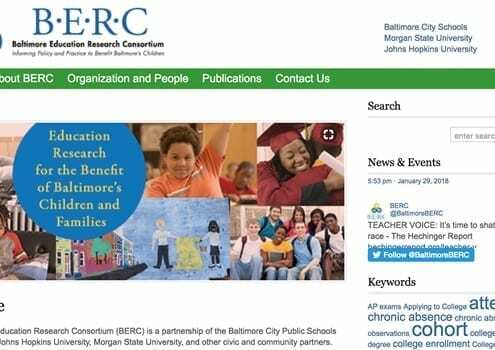 Faith Connolly, executive director of the Baltimore Education Research Consortium (BERC), collaborated on a paper that focuses on shared methodologies of community coordinators in Baltimore schools that have resulted in increased student attendance and improved school climate. University of Illinois psychology professor Aron K. Barbey has published a new theory positing that flexibility is at the heart of human intelligence. 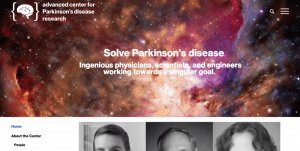 Feb 2019 - Advanced Center for Parkinson’s Research has a new website! Feb 2019 - Indiana Wesleyan University Department of Physics has a new website! 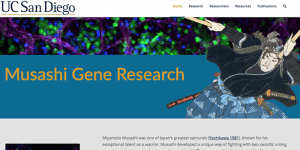 Jan 2019 - Musashi Gene Research has a new website! 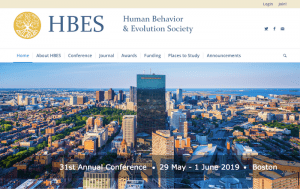 Nov 2018 - HBES has a new website! 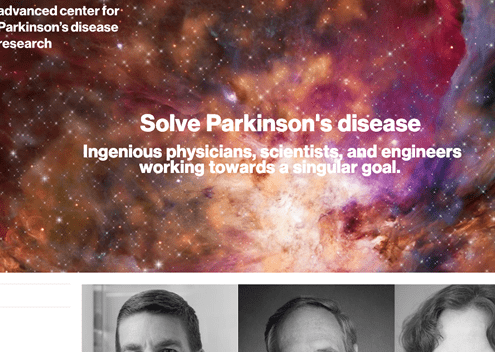 Advanced Center for Parkinson’s Research has a new website! 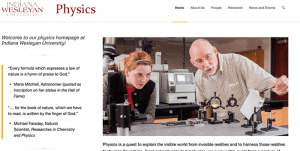 Indiana Wesleyan University Department of Physics has a new website!